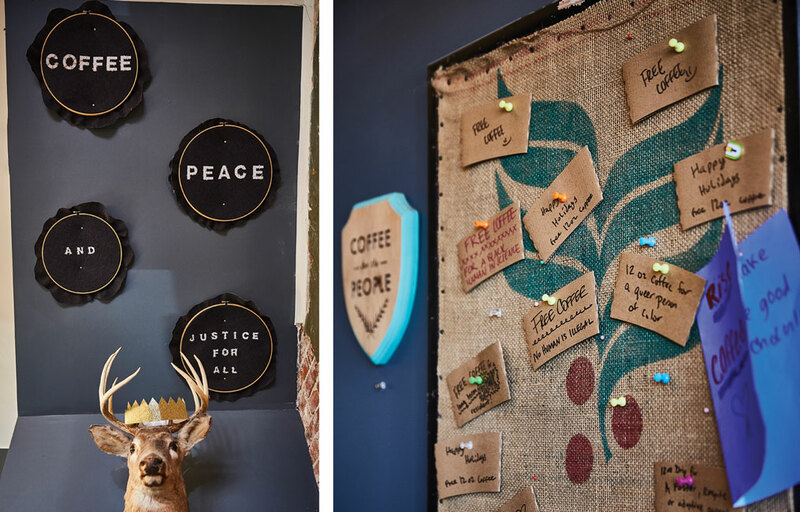 At first glance, Rise Coffee might look like a lot of other neighborhood specialty coffee shops. It’s “one of those spots that simply feels good to be in,” as popular St. Louis food magazine Sauce puts it. There’s the cozy warmth of red brick and well-worn hardwood. The inviting quirkiness of the eclectic furnishings and decor. 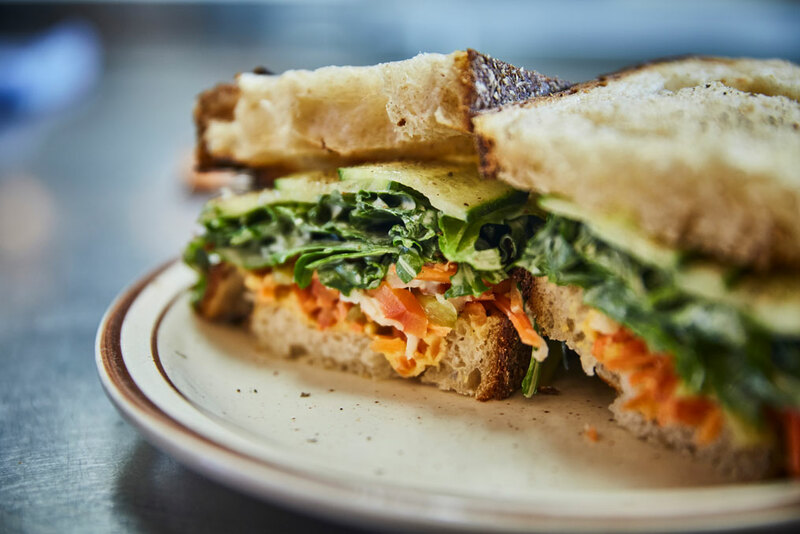 A friendly staff offering a simple-yet-refined coffee menu and café fare with a modern vegetarian take on classic diner offerings and the obligatory—but undeniably delicious—avocado toast. Friendly staff (from left): Pierre Dobbins, Sadie Britt, and Abi Hillrich. 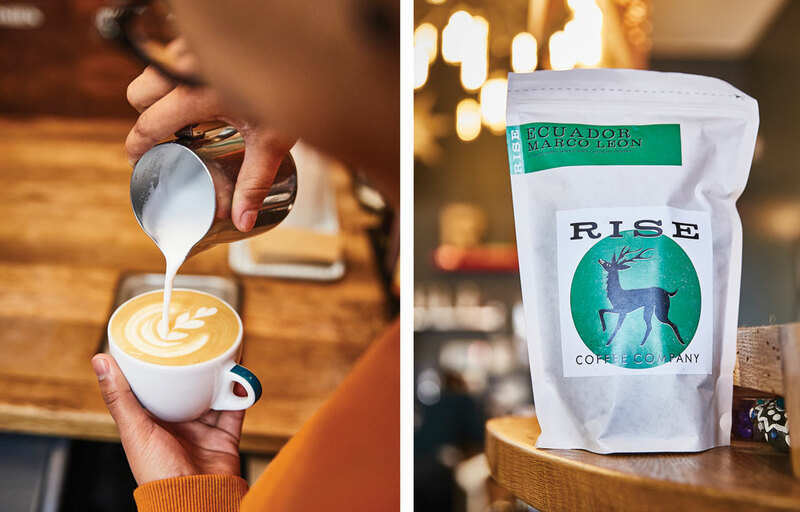 Top it off with Rise’s location—a hip, revitalized urban neighborhood, replete with countless great restaurants and bars, craft breweries, a popular music venue, and myriad local shops and services—and you have a coffee house that would become a local go-to in nearly any city. 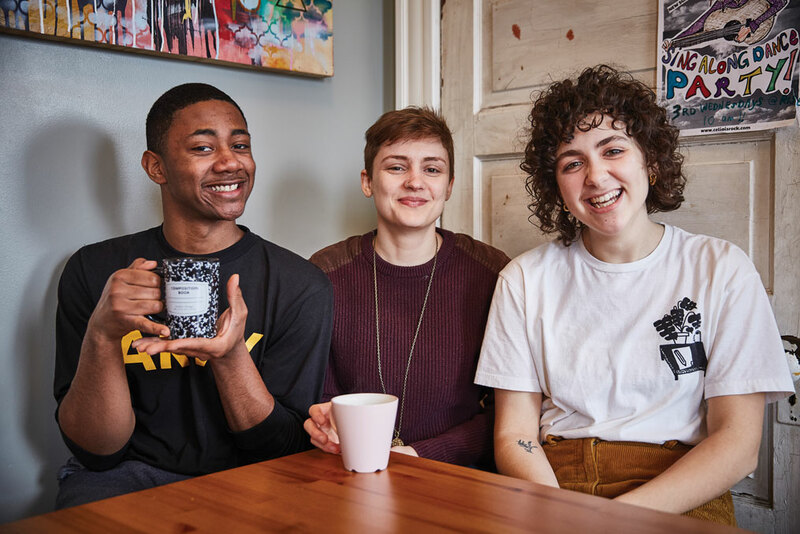 Look closer at Rise, and you might see not merely a café, but a community—a community with arms thrown wide toward anyone willing to step in. Current general manager Kristen Trudo saw it long before becoming an employee. That welcoming posture is built into the very design of the space. 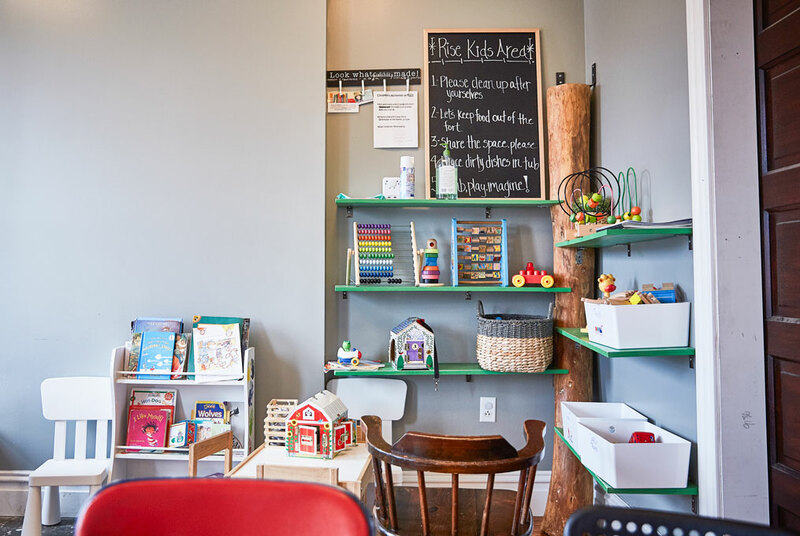 Explore upstairs and you will find an area dedicated to families, where a baby gate guards entry to a wonderful world of children’s books and toys, accentuated by a tree house. Next to it, there is a library, open to students and others keeping long hours, not a “sip to sit” sign in sight. Scroll Rise’s provocative Twitter feed or catch a glimpse of the “Vote November 6” sign still lingering near the community board, and you’ll see a company engaged in the broader concerns beyond its doors. 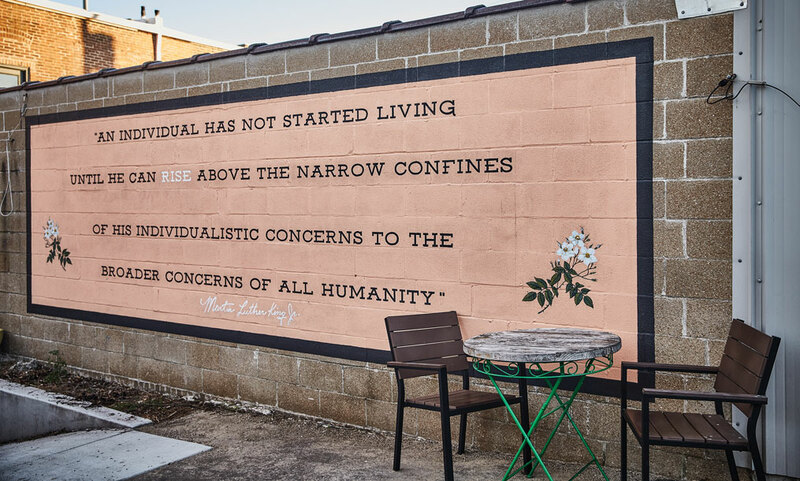 In many ways, Rise Coffee embodies the upward thrust of the Dr. King quote that gave it its name. 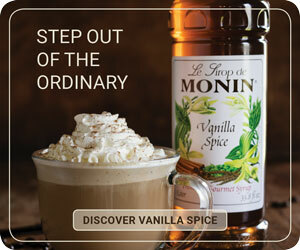 It began, however, with the simple search for a cup of coffee. Due to her experience in social work, Rise founder Jessie Mueller was naturally concerned with issues of inclusivity, racial equity, and urban renewal. She was even working on a beautification project in The Grove, a resurgent neighborhood of St. Louis, when the idea for Rise came to her. Having nowhere to go for a coffee, she decided to start her own shop, despite no experience in the trade. 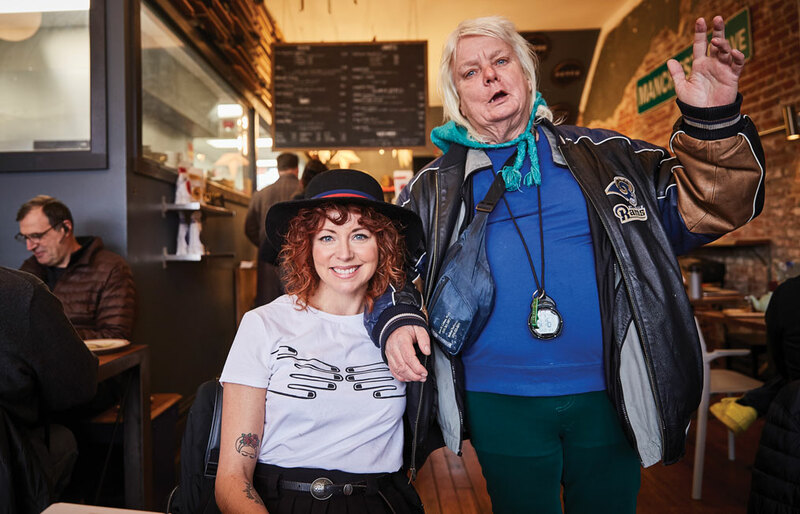 When she launched Rise in 2013, her first attempts to create an inclusive community didn’t rest on a big banner-waving cause, but something much closer to home. This mindset was embedded from the beginning, and attracted mothers like Janelle Brown. 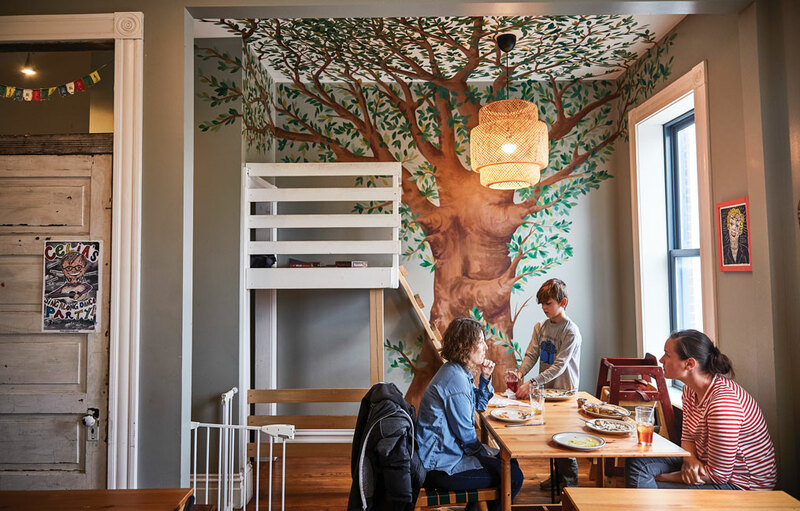 In an environment where children are often seen as an unwelcome nuisance, Rise stood out and drew families in droves, so much so that Mueller attributes the café’s initial survival to those early stroller-pushing regulars. Soon, however, her vision for Rise would be pushed much further. In 2014, Michael Brown’s death at the hands of a police officer in Ferguson, a suburb of St. Louis County, caused an eruption of racial tension that put the city and surrounding region at the center of national news. The ensuing riots sent unrest rippling throughout St. Louis City and surrounding St. Louis County, exposing hidden rifts that ran through every neighborhood and back to the city’s earliest days of post-Civil War growth. Although The Grove isn’t in close proximity to Ferguson, the issues facing it—racial segregation, socio-economic inequities, policing in poor communities, and urban decline precipitated by white flight, among others—were in many respects the same. Mueller felt compelled to engage Rise in the movement—and she wasn’t alone. In the wake of the Ferguson riots, many groups mobilized throughout the region. One of these groups was a non-profit called We Stories, which was designed to get white families to open up about issues of race through reading diverse children’s literature with their kids. Many of the families that frequented the café got involved, bringing cohesion to the idea of Rise as a hub for a growing activist community. Still, the new vision for inclusivity needed greater clarity. When Rise began posting Black Lives Matter signage, they were soon challenged to put action behind their words. A customer wrote them a public note asking them how, as The Grove underwent growing pains and bore the weight of its own racial tensions, they would truly show the value of those in their community. 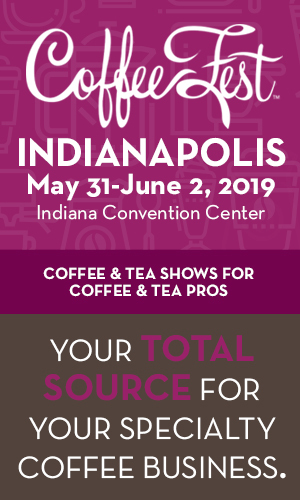 That question gave birth to “Coffee for the People.” This program, which has become a fixture of Rise, offers customers the option of buying a coffee for anyone who needs it. “People can still come in and grab a coffee at any time, even if they can’t afford it,” explains Mueller. This idea became a way for Rise to communicate what it was about to its community, and to invite customers to join in that mission. It soon began to draw more neighborhood residents into the café. This generosity of spirit soon extended into virtually any area of the business, including hiring choices. At one point in 2014, Mueller took a chance on an experienced but unemployed barista who was recovering from a mental health crisis the previous year. That barista is now the owner of Rise. Even when Johnson was a customer, Mueller felt a shared need for purpose akin to what she had felt as a new mother struggling with post-partum depression. The partnership quickly strengthened between them. It was clearly the right match. 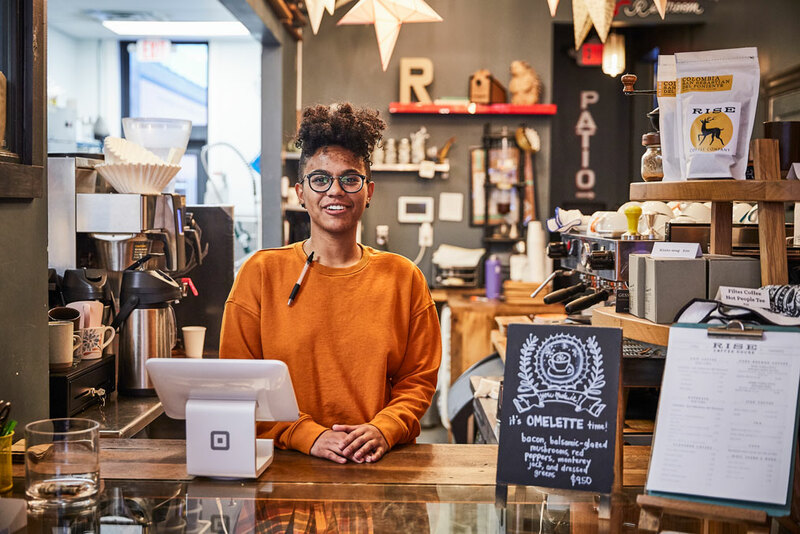 Johnson, who moved the shop to a bigger space a few doors down that he purchased with Mueller in 2016, has taken her original vision even further since taking over. Concerned that Rise would play a role in gentrifying the neighborhood, pushing out longtime residents by drawing in wealthier outsiders, he shifted his priorities to hiring neighborhood residents. He’s since hired six, none of whom came in with coffee experience. Those hires aren’t getting any special treatment, though. 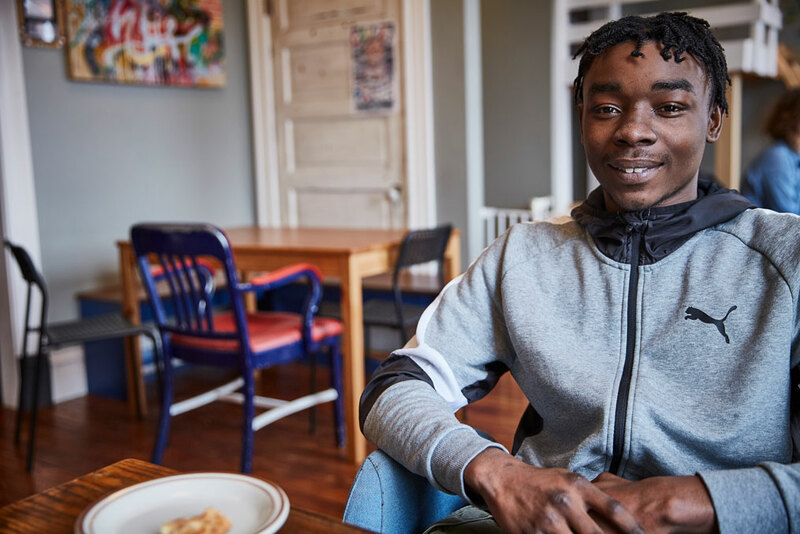 Kavon Sykes, one of those neighborhood employees, was drawn to Rise in the same way. Since officially joining that family, Sykes has fallen in love with coffee, and enjoys finally being able to walk to work. For his part, Johnson is far from satisfied with the work Rise has done. That won’t stop him from trying. 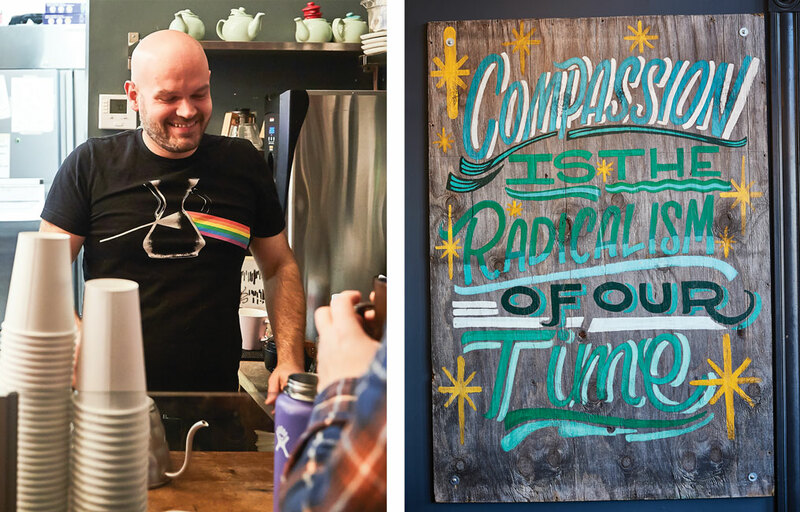 His commitment to creating a welcoming space is one reason that, while there is a clear commitment to quality in the craft of food and coffee at the shop, it’s not front-and-center. 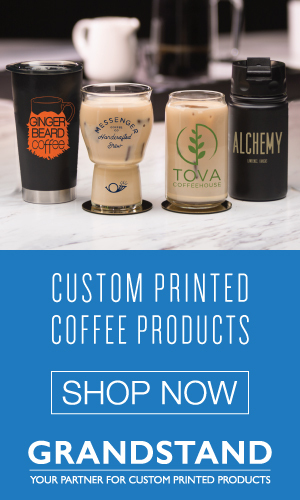 They’ve got all the key pieces: the pour-over menu, the Linea Classic, the Fetco brewer, the EK43 and Mythos grinders. Yet somehow it’s all unassuming. Many customers didn’t even notice when Rise began to roast their own coffee last year. Authentic hospitality, in Johnson’s definition, begins with listening. It’s how he responds to his customers, not just as customers, but as people. It’s also how he chooses the issues Rise will champion—from protesting local policing to advocating for LGBTQ equality to stumping for a preferred candidate in the local alderman’s race—in hopes of making a difference. That focus on building bridges through hospitality has led to new opportunities. Rise recently opened its second location, which is housed inside the Contemporary Art Museum St. Louis (CAM). While the museum, with its clean, modern aesthetic, might seem a strange fit for the gritty, eclectic style of Rise, for CAM executive director Lisa Melandri, the pairing was natural. “We’re here quite literally in the geographic center of St. Louis, and it’s core to who we are to want to make sure that everybody can come in and make use of this institution in ways that are best for them,” explains Melandri. CAM does not charge admission, which helps to fulfill the museum’s mission—to make contemporary art accessible to all—a mission very much akin to Rise’s own. “Art for the People,” you might say. Rise is a rare kind of shop, and what it adds to its community is invaluable to its members. As Janelle Brown puts it, “It shows the best side of St Louis,” serving as an emblem of unity in a city devastated by division of all kinds. But should it be so rare? Mueller isn’t so sure. 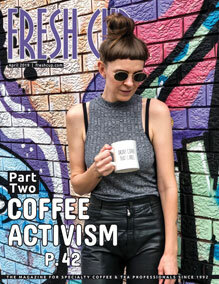 “Cafés are the third place, the spot where ideas can flourish and people can come together in a way that they most likely wouldn’t anywhere else,” she says. While she stops short of saying that every café owner should feel the burden to create a replica of Rise, she still emphasizes that with that role comes a responsibility for an owner to be aware of and responsive to the needs of the community in which they find themselves. 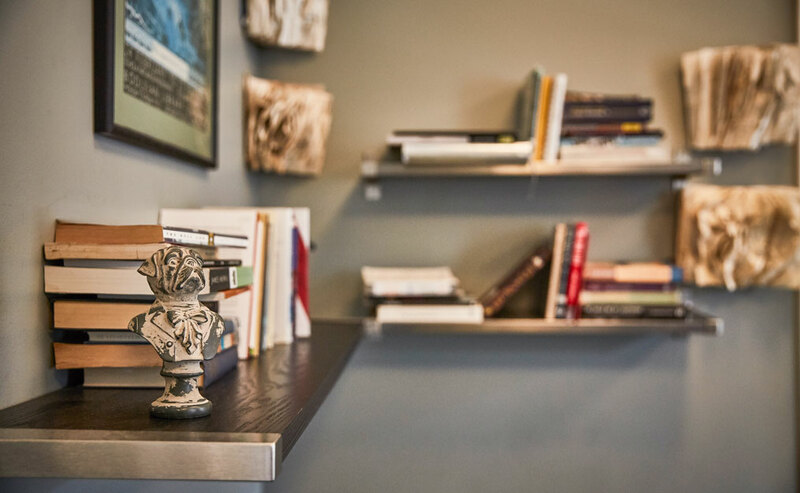 Part of the library space at Rise. Still, at the end of the day, both Mueller and Johnson acknowledge the limitations that come with being a coffee shop. If Rise’s success is any indication, though, those limitations may not be as limiting as they seem. Perhaps it is in discovering the potential to be found within those limitations that shops like theirs can truly rise above. Hours: Mon-Fri, 6:30 a.m.-6:00 p.m.; Sat-Sun, 6:30 a.m.-7:00 p.m.